For beginning singers or for those who want to be heard - Pro Microphone. Make your voice sound louder! 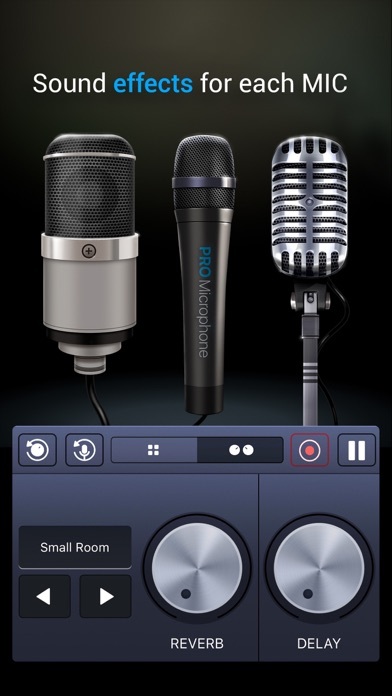 Such an awesome tool for rehearsal or singing exercises, for concerts or karaoke parties. 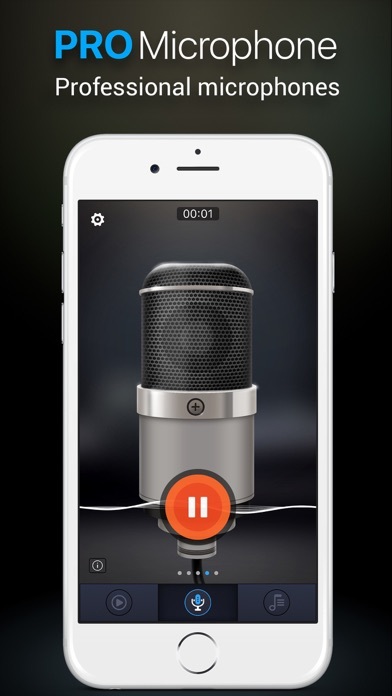 Sing and save all of your songs and choose different mics to match your mood! Professional studio microphone which is always with you. DIFFERENT MIC TYPES - Studio mic - Condenser mic - Dynamic mic Each of them has its own sound effects! 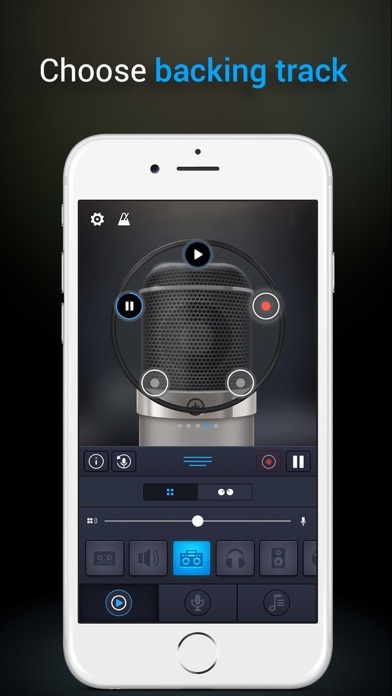 SPEAK, SING AND RECORD - Sound recording function - Various backing tracks - Equalizer in addition - Automatic saves It's your time to shine and show your hidden talents! Focus everybody's attention on you with the Pro Microphone. It wasn’t what I was looking for and I would like my money back. It wasn’t what I was looking for and I want my money back!!! How can I record over a track with vocal effects over a song on my dropbox without the instrumental song getting the effects as well? I payed $20 and there is no echo future .. smfh.. id might as well use my regular headphones if thats the case! Garbage!! This app is not free! They have basic services yes. But please be upfront about it before we download the app. This basic feature design was not thought out well. The advertisements.. Not only can we not skip through them but they’re almost 5 minutes long. Five minutes of a loud child’s game when all I want to do is listen to the 1 minute recording I need to hear. And after finally making it to the promise land, the app freezes and kicks you out. Just be honest and advise the true cost of the app. The basic service is doing you a great disservice. You have to buy the premium to do anything. I personally don’t think that this app is the best, bc the app is like 85% subscription needed so I think that the app is not as good as most people would think. I downloaded the free version. The app wouldn’t close, an ad popped up. As I went to close the ad and then the home button to close the app it said “purchase complete” 19.99 for a year subscription. I attempted to email the company, email won’t go through be the address isn’t correct. Be ware.